Hennie Comfort has lived in the mining settlement of Middle Swan, located in mountains of Colorado, for more than 70 years. As she begins contemplating moving down the mountain to live with her daughter, she passes on the stories of her life to her new friend, young Nit Spindle, who’s recently arrived in the isolated town. Set during the hardscrabble years of the Great Depression, Hennie’s stories, like one of the beautiful quilts she stitches, are made up of all kinds of material – joyful, tragic, laugh-out-loud funny. Life in the mining town is hard – the work in the mine is dangerous, the weather is often harsh and luxuries are few. 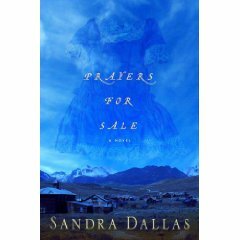 Prayers for Sale follows Hennie’s many tales – the death of her first husband in the Civil War and the death of the second in the mines, the loss of children, the love of her mountain home – as well the stories of her often colorful friends and neighbors. Hennie shows no prejudice, becoming friends with people from all walks of life, guarding their secrets and keeping their stories. 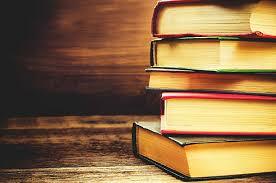 Hennie has secrets of her own – watch for a surprise twist at the end of the book. This oral history, while unique to this small town, is universal in it’s themes of love, friendship and survival. You’ll be glad you visited.